The smallest and least expensive powered speaker in the Raumfeld lineup punches way above its weight class. 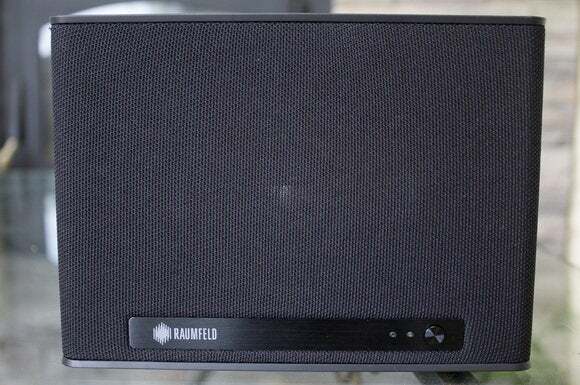 The Raumfeld One S is the least expensive speaker in the Berlin Acoustics multi-room audio system, and it sounds magnificent for its size. For an in-depth look at the system as a whole, read our introductory article that discusses how it works, the codecs its supports, and more. This review will concentrate specifically on the $249 Raumfeld One S.
If you’re comparing this speaker to what Sonos has to offer—and you should—the One S fits right between a Sonos Play:1 ($199 at Amazon) and the Sonos Play:3 ($299 at Amazon), but it sounds better than both of them. Sonos has the better system overall, but the Raumfeld line supports high-resolution audio where Sonos doesn’t. Measuring 7.1 inches wide, 5.1 inches high, and 4.3 inches deep, it’s small enough to fit just about anywhere, including on the wall if you buy the optional mounting bracket ($30 at Amazon). 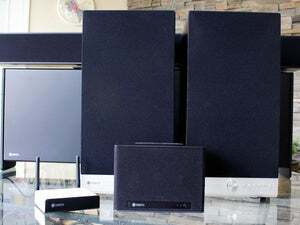 Like the Sonos speakers it competes with, you can set up two Raumfeld One S speakers as a stereo pair. The thick sealed-plastic cabinet accommodates a three-way driver array with a 0.98-inch aluminum tweeter, a 3.54-inch polypropylene midrange, and two 3.7-inch aluminum passive radiators. A two-channel Class D amplifier sends 10 watts RMS to the tweeters and 30 watts to the midrange drivers. The Raumfeld One S lacks analog and digital audio inputs, but it does have a USB port. 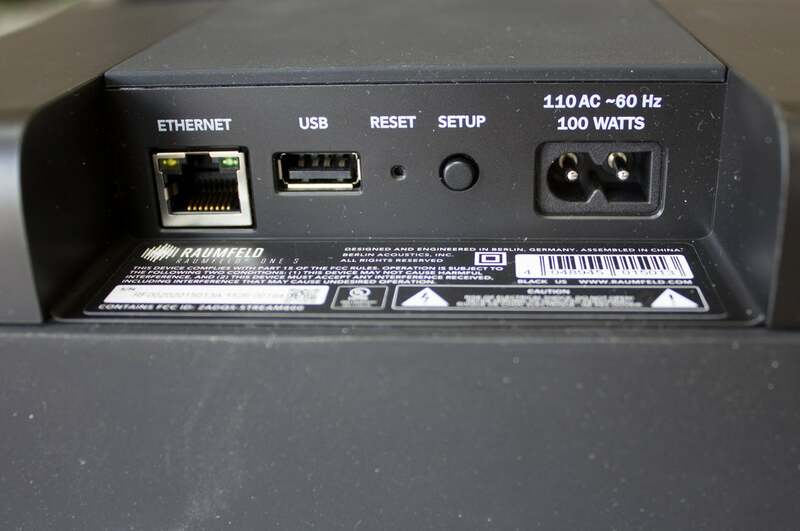 Unlike the Raumfeld bookshelf speakers and the Raumfeld sound bar, the Raumfeld One S does not have analog RCA inputs, so you’ll need to rely on a network connection to stream music (none of the components in this Berlin Acoustics line support Bluetooth streaming). 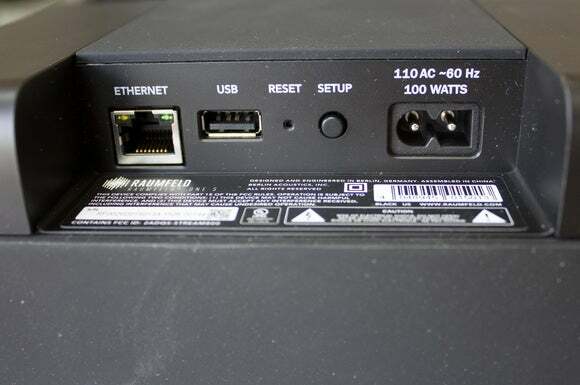 You can connect the speaker to your wireless network or hardwire it using the RJ-45 port on the bottom of the cabinet. The front and sides of the speaker cabinet are wrapped with a cloth grill. A thick rubber pad on the bottom isolates it from the surface it’s resting on. A second rubber pad covers most of the back and wraps around the middle of the top, covering buttons for volume control and Internet radio-station presets. A pair of white LEDs report the speaker’s power and connectivity status. 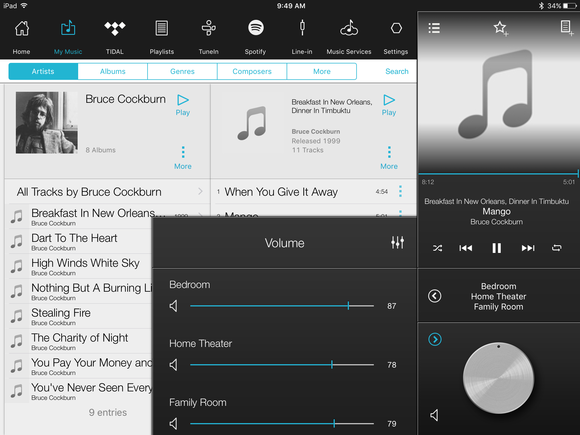 The Raumfeld app doesn’t fare well in a comparison with what Sonos has to offer, but the Raumfeld hardware can stream high-resolution audio files and Sonos can’t. Ostensibly designed for smaller rooms, such as a bedroom, this powerful speaker also sounded great in my 19x17-foot great room. 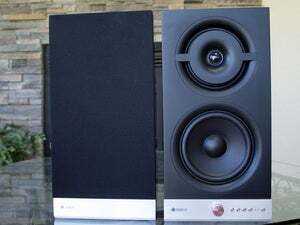 The Raumfeld One S delivers fantastic bass response for a speaker of its size, which handily makes up for the fact that you can’t pair it with the Raumfeld subwoofer. Listening to the Blind Boys of Alabama covering Tom Waits’ “Way Down in the Hole,” from their Spirt of the Century release (ripped from CD and encoded in FLAC), I was more than satisfied with the rich treatment the speaker afforded the string bass on that track. Actually, the speaker’s performance wowed me across the frequency spectrum. The Raumfeld One S did a wonderful job of blending the flute, fiddle, and acoustic guitar with Irish folksinger Cara Dillon’s vocals on “Moorlough Mary,” from her album A Thousand Hearts (an album encoded in 24/96 FLAC, which I purchased from the Bowers & Wilkins’ Society of Sound service), the Raumfeld One S did a wonderful job of blending the flute, fiddle, and acoustic guitar with Dillon’s angelic vocals. The Raumfeld One S is a very good buy at $249. While it’s intended for smaller rooms, I think most people would be satisfied with its performance in all but the largest of rooms. Well done, Berlin Acoustics. 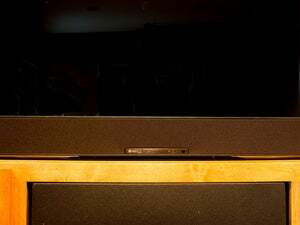 Correction: This article previously stated that two One S speakers could not be configured as a stereo pair. This good-looking and well-priced wireless speaker is intended for small rooms, but it's powerful enough to fill all but the largest rooms.